I’m just going to put my cards on the table straight away; diets are the worst thing ever. I realise it sounds slightly dramatic, and maybe it is, but as someone who’s tried to diet in the past and failed miserably, I’m standing by my words. 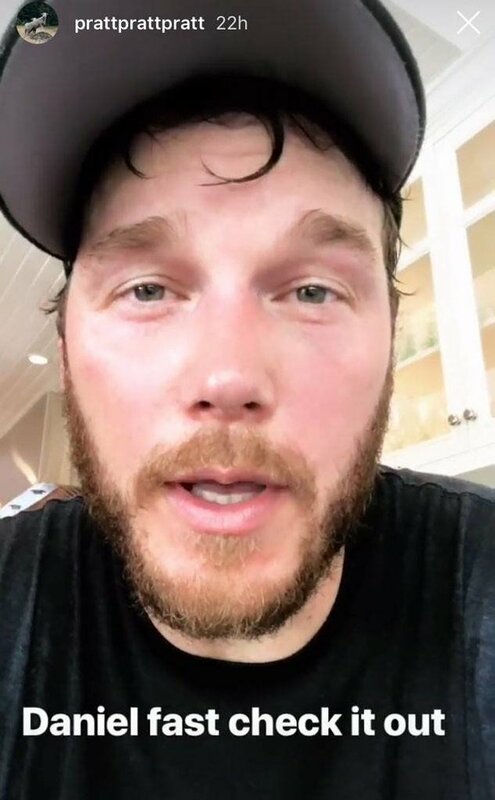 As though to prove my point, Chris Pratt has recently embarked upon a diet of his own, and admitted he’ll probably be ‘hallucinating’ by the end of it. 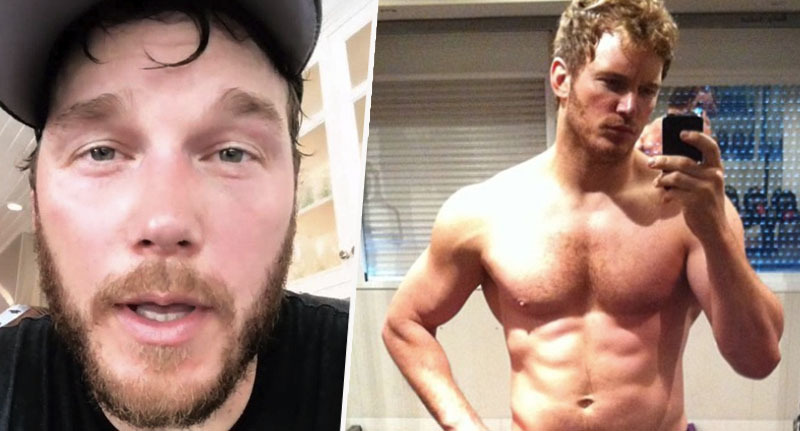 The Parks and Recreation actor took to Instagram on Wednesday (January 9), to tell his followers about his new Bible-inspired diet. Hi, Chris Pratt here. Day Three of the Daniel Fast, check it out. It’s 21 days of prayer and fasting. The Daniel Fast is based on the fasting experiences of the Old Testament Prophet, according to its website. To break it down, it’s a partial fast whereby some foods are eaten while many more are restricted – including all meat and animal products, leavened bread (i.e. any bread with yeast), processed foods, and pretty much every type of drink ever, except water. White pasta, chips, and sweeteners are also banned in the fast – y’know, all of the good stuff – which lasts for 21 consecutive days. The fast is described as ‘a spiritual experience with significant health benefits,’ in which ‘thousands of people with health and weight issues experience success’. I’ll be honest with you, as soon as they said bread was off the table, I was out. Ask anyone I know, I’m obsessed with the stuff. White bread, brown bread, sourdough, tiger, baguettes, you name it – I love it. And now I’m regretting making a list of it because all I want to do is go out and buy some. To give you some idea of the true extent of my bread addiction, let me take you on a short trip down memory lane. Imagine me, aged about four, attending a cousin’s christening. 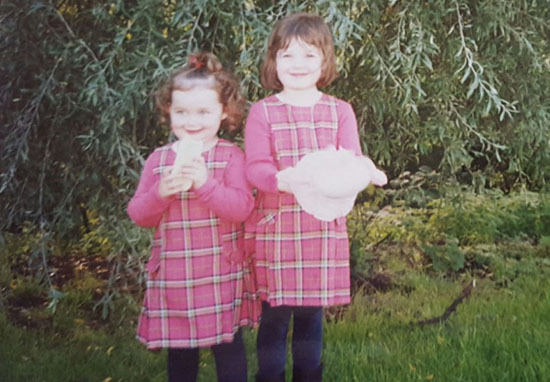 Now imagine me having a picture taken with my sister (in matching outfits, obvs), and my parents bribing us by letting us hold onto something – just so we look vaguely happy in the photo. My sister chooses her favourite doll because she carries it around with her everywhere and can’t be without it, especially not for a photo. Pretty normal stuff for a six year old, right? Yep, there I am on the left, holding a bread baguette and having the time of my life. Because apparently I couldn’t bear to be without my favourite snack for even a second. Sigh. But it appears Pratt has a lot more willpower than little ol’ (chubby) me, because he’s sticking to his fast for an entire 21 days. It’s going to coincide also, coincidentally, with the Lego Movie 2 junket. So, by the time you see me, I’ll probably be hallucinating. Stay tuned. Well, hopefully he won’t hallucinate but I still don’t understand how people can put themselves through such intense dieting. I choose bread for days, always.